The Alps is mostly known for its exceptional winter season activities but when the snow melts, the flowers bloom, and the temperature rises, Europe’s most famous mountain range becomes its biggest adventure playground. The varied and extensive choice of awesome activities available are eye-opening and is simply an outdoor adventurer’s paradise. Whether you are seeking an extreme adrenaline fuelled adventure, planning to become reaccustomed with mother nature, or just love doing fun activities outdoors there is no better place the the Alps. Here we have some of Peak Transfers favorite local summer pastimes just to give you a gist of what the Alp’s have to offer. This list is by no means exhaustive and is just the tip of the iceberg when it comes to things to do in Europe’s biggest natural adventure playground. The great thing is that the Alps evolve continuously and there seems to be something new to try every year. The staple of most summer holidays in the Alp’s and it’s no surprise. There is something quite unique about rambling on a high alpine trail surrounded by alpine and non alpine peaks. But remember many respectable resorts also have lift access in the peak summer months making those high altitude trails even more accessible than before! 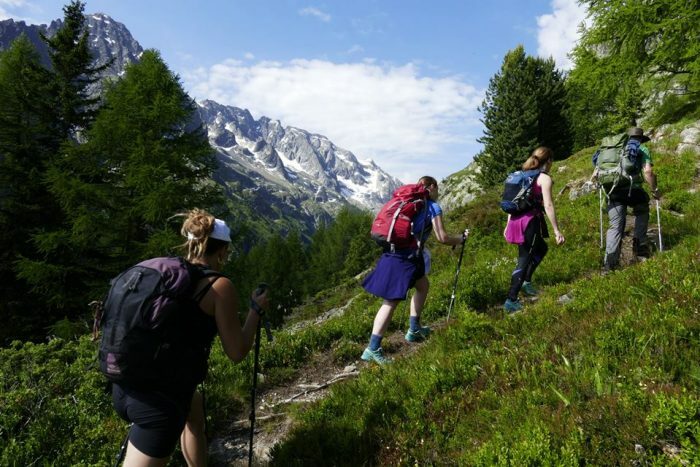 For the more serious hikers there are plenty of multi-day trekking tours available including the infamous Tour du Mont Blanc, Haute Route and many more. For more information take a look at our Safe Hiking in the Alps and Mountain Hiking Essentials pages. Leave the tight grip of work and worries behind you and spend a night in a refuge high in the mountains! Get away from modern world of social media and the internet and swap it for the stunning alpine sunrise and sunset like you’ve never experienced it before. Staying in a mountain refuge is a great experience and one that should be on everyone’s bucket list. It’s a fantastic way of meeting likeminded people from all over the world. The Alps have a network of high and often remote mountain refuges that can be used for overnight stays while multi-day trekking so you don’t have to carry tents or food. Or simply an overnight destination for a weekend of walking. Refuges offer a real sense of adventure as many offer sublime regional cuisine, basic facilities, with communal dormitories and washing facilities. Allowing use to reach further higher and deeper into the mountains than what’s possible in just a day. All in all staying in a refuge is very sociable affair providing a memorable experience. With its many glaciers, snow melt, springs and streams it no wonder that the Alps has a vast range of exciting and exhilarating water sports available. 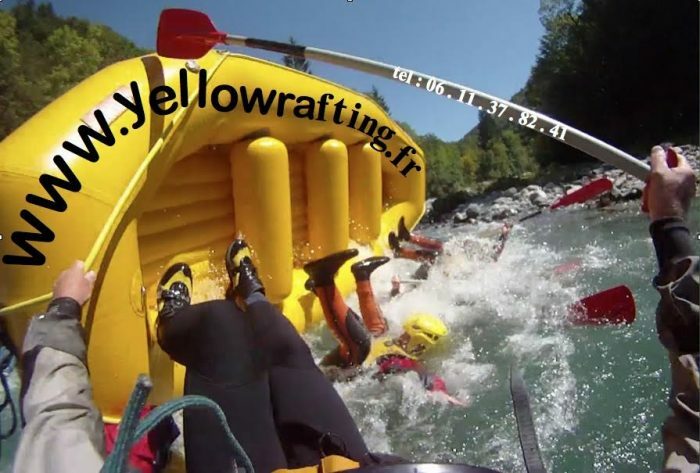 Hit the white waters of the alpine rivers and enjoy the thrills of Rafting, Kayaking or even Hydrospeeding (basically body boarding down the river). For the more adventurous why not take on the mountain rivers with a day of Canyoning where you will find yourself climbing, jumping, sliding, swimming, rappelling through mother nature’s very own gargantuan water park. For more information about the watersports available in the Alps take a look at our Watersports Page here. This seems to be the newest and fast developing craze in the Alp’s and that is no surprise given the abundance of perfectly situated terrain to produce awesomely exciting high rope and tree top adventures. Get sky high thrills in complete safety taking on the high speed zip-wires, wobbly rope bridges, tricky tunnels, tall rope ladders and many other high altitude adventures. These are mostly set up for kids, but that doesn’t stop the big kids from getting involved too! For those with a love of riding in many alpine resorts you will have the opportunity to take a ride through alpine meadows with beautiful scenery. Why not ask the local tourist office to put you in touch with the local riding centre. The Alps are probably known for their exceptional lakes as well as the obvious towering mountains. Whether it’s to take a refreshing dip in a high altitude lake after a physically demanding ascent or simply to relax and sunbath, picnic and make sandcastles at the lake upon the valley floor, you will not find it too hard to stumble across one. Many of the lakes provide water sport activities including Kayaking, Paddle boarding and Windsurfing. Some of the bigger lakes you can even Water Ski and Wakeboard. The Alps have more cycling prestige than probably any other location in the world, simply put it’s a cycling mecca. With the strenuous col climbing on the road as seen or the extreme downhill mountain trails the Alps are a biker’s favorite. For the ‘Roadies’ amongst you why not take on some of the most prestigious Tour de France stages scattered across the Alps, or even a mammoth cycle tour spanning multiple countries? Such cycling holidays are well established here and are indeed very popular! All mountain resorts have some sort of mountain biking infrastructure, but there are a few significant resorts in the Alps that compete for being the ‘go-to’ MTB or VTT ‘a francais’ trails in the world. The most popular destinations include Morzine and Les Gets in France as well as Saas Fee and Zermatt in Switzerland. For more information about cycling in the Alps take a look at our Cycling Page. Paragliding is predominant in the Alp’s being the birthplace of the sport as we know it today. Take a thrill seeking acrobatic tandem flight or a scenic tour of the surrounding mountains from a bird’s eye perspective. But that’s not the only method of taking to the skies in the Alps. You can also take a relaxing Balloon ride with family or a loved one or experience freefall through the art of skydiving or bungee jumping. For paragliding opportunities specific to Chamonix check out our Paragliding Page. The Alps are not all about high-octane activity. They can also be a place of sanctuary to retreat to for relaxation and pampering. The Alps take their Spa Hotels and retreats seriously. Many regions have their very own natural thermals that local spa’s take advantage of offering a number of hydrotherapeutic therapies in addition to the usual spa and beauty treatments available. You can’t beat the relaxing and meditating experience of that found in mountains with beautiful scenic surrounded by nature and life in every direction. Find out what Peak Transfer’s ultimate Mont Blanc Spa Breaks here. The Alps are home to some of the world’s most scenic rail journeys. Classic steam and Alpine cog railways such as the Bernina Express and the Golden Panoramic. Why not venture to Europe’s highest train station Jungfraujoch taking you through the middle of one of the world’s most iconic mountains the Eiger itself, or perhaps one of the oldest lines upon Europe’s tallest mountain via Tramway du Mont Blanc. Whatever itinerary you decide on we can promise you will not be disappointed! Dry luges are the Swiss’ way of keeping up their traditional tobogganing pastime all year round. A quite novel way to see the sites this activity is not just popular in its birthplace of Switzerland. Scattered throughout the Alps you are never too far from a fast and furious thrilling ride on a luge track. Why not give the world’s highest Pfingstegg or longest Pradaschier a go this summer? The Alpine Valleys boast some of the most beautiful significant stretches of water on the planet so it would be rude not to take a splendid tour upon its wonderful waters. A few that immediately spring to mind are Lac Leman (a.k.a Lac Geneva), Annecy, Lucerne, and Como. All these significant lakes are serviced by beautiful paddle steamers, taxi ferries, and a range of other crafts. If you would like to experience what’s known as ‘Venice of the Alps’ then Annecy is the place to go. Containing Frances purest water and surrounded by alpine peaks it’s hard to get bored of the sites here, and great for a quick paddle too. Lac leman in Geneva is a generous in its fantastic destinations for hop-on-hop-off boat tours. 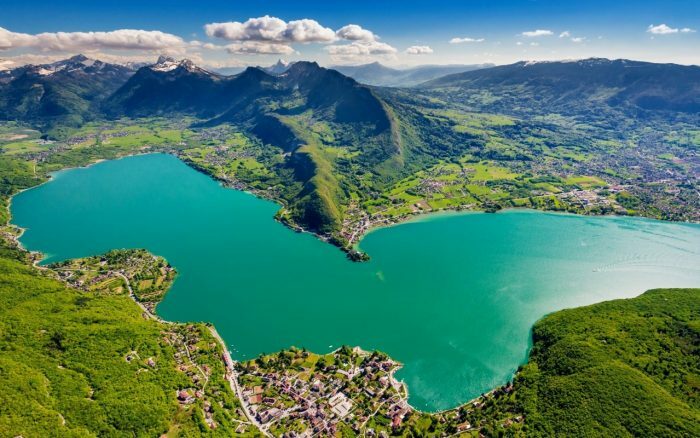 With the likes of Montreux, Lausanne, Evian and obviously Geneva itself as just a few of its lakeside destinations you will find yourself sampling some of Switzerland’s iconic villages and cities. Do not doubt us when we say that you are truly spoilt for choice when it comes to trail running in the Alps. Featuring some of the world’s most famous trail races such as the Ultra Tour du Mont Blanc, Eiger Trail, X-Alpine and Tour de Geants you are standing in the mecca for all things trail. But this is just a drop in the Ocean in terms of the beautiful trail available to explore throughout the Alps. With so many grand trail networks linked, welcoming mountain refuges and dedicated trail running itineraries all day adventures and multi-day running treks are easier than ever. So much so there are now many companies offering trail running holidays/ training camps to help you explore such terrain with some local and specialist support. 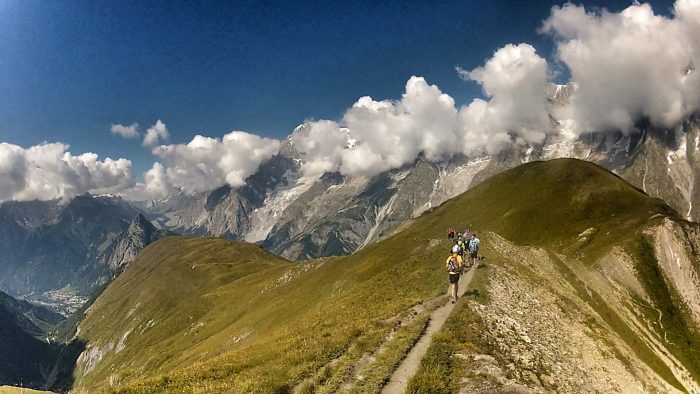 For more information about trail running in the Alps and some of our favorite trail itineraries in the Chamonix valley then take a look at our guide here. Even when taking away the mountaineering and alpine climbing aspect there is plenty of climbing to be had by those not wishing to venture up to the snowline, or prefer their rocks warm and dry! Rock climbing (sport and trad) as you can imagine is rife in the Alps. For the well versed climbers amongst you there are plenty of guide books and reviews on different areas for you to make your choice. There is a variety of rock and styles to explore from delicate climbing on glacier polished granite slab to strong pocketed limestone overhangs. But don’t think this is just for experienced climbers the Alps offer something for everyone. While those serious climbers project their newest holy grail route you can scramble and climb your way up your rather more fun climbs with the help of a local guide or climbing instructor. For a list of the most beginner friendly crags in Chamonix check out our guide here. If you really want to stick to the basics why not head to the nearest boulder field and partake in a little bouldering? Bouldering is low level climbing without the use of equipment….well except perhaps a crash/ bouldering mat to soften any falls. The ever more popular art of via ferrata is definitely not one to be overlooked. Invented in Italy, being Italian for ‘iron ways’. If you like an adventure and have a head for heights plus a reasonable level of fitness then it’s one for the bucket list. Essentially it’s an aided climbing route making exposed or normally hard traverses a lot more accessible through the use of additional handrails, rope bridges, ladders and hand or foot holds cut into the rock. 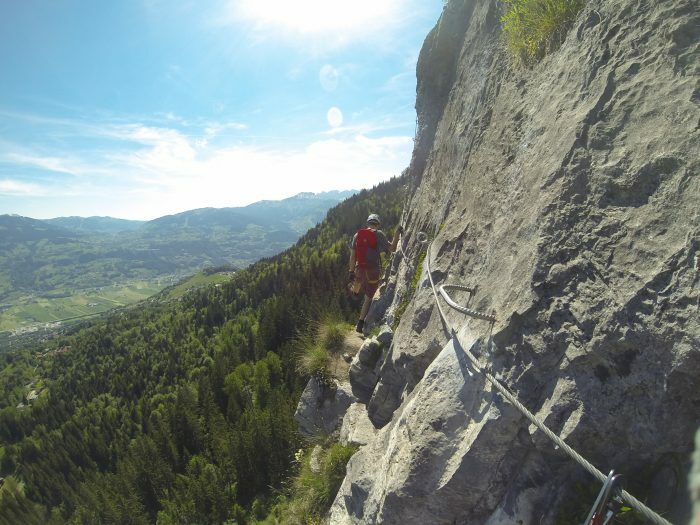 The most famous via ferrata is probably the Bochette Way in the Dolomites, but there are plenty to choose from across the French and Swiss Alps too. Find out how the Peak Transfer Team got on with the Passy Via Ferrata here.